If you’re looking to rapidly launch your IT support career, this might be for you. This is a very intensive training course, which is why it’s called a boot camp course. Learners have six months to complete it and take the exams. If you believe you cannot dedicate enough time to the course over six months, we recommend you take a look at our 12 month option. Click here for more details. This course is also ideal for current IT Support workers wishing to brush up on their support and technical skills. This course is primarily aimed at absolute beginners to IT who want to start a career in IT Support or just develop their skills in this area. The course assumes you have no technical knowledge of IT whatsoever. To understand what IT Technicians do and perform it at a technical level, you must first possess an understanding of basic IT literacy as well as certain technologies, which you will be taught through this course. Through this course, you will gain two globally recognised certifications from CompTIA: the CompTIA Network+, and CompTIA Cloud Essentials. You will also possess a set of technical skills you can use to get work in a variety of other IT job roles. These are discussed further down the page. Who are CompTIA? Watch this video to find out. Upon completion of this course and gaining experience in an IT support role, you’ll receive two CompTIA acclaim badges that you can add to your CV or social media profile for prospective employers to see. You’ll also receive two official CompTIA certifications validating your IT skills. Scroll further down the page to see an example of one of the CompTIA certifications you will get. Watch this video to understand how ‘Acclaim’ badges can help you stand out from the crowd. An example of a CompTIA Network+ certification you can gain through this course. Watch this video to learn more about CompTIA certifications. What’s included in this boot camp course? This entire course MUST be completed in the order listed below. Failure to do this could result in you not being able to understand the content of the next course in this series. Click on a title to see a full breakdown of what you’ll be learning in each course. As part of this bundle, you will also get access to a MeasureUP practice test for each certification course. Scroll down to read more about the MeasureUP practice tests and how they will help you pass your exams the first time. • 1.0 What are we covering? • 2.0 What are we covering? • 3.0 What are we covering? • 5.0 What are we covering? 1.1 Understand common terms and definitions of cloud computing and provide examples. 1.2 Describe the relationship between cloud computing and virtualization. 1.3 Name early examples of cloud computing. 1.4 Understand several common definitions of cloud computing and their commonalities/differences. 1.5 Recognize what types organizations might benefit from cloud computing. 1.6 Recognize what types organizations might not benefit from cloud computing. 1.7 Distinguish between the different types of clouds, including XaaS, IaaS, PaaS, and give examples of them. 2.1 Recognize the similarities and differences between cloud computing and outsourcing. 2.2 Understand the following characteristics of clouds and cloud services from a business perspective. 2.3 Demonstrate how the characteristics of cloud computing enhance business value. 3.1 Understand the difference between private and public types of clouds from a technical perspective and provide examples. 3.2 Understand at a high level the following important techniques and methods for cloud computing deployment. 3.3 Explain technical challenges and risks for cloud computing and methods to mitigate them for. 3.4 Describe the impact of cloud computing on application architecture and the application-development process. 4.1 Explain typical steps that lead to a successful adoption of cloud computing services. 4.2 Understand the roles and capabilities of cloud computing vendors and dependencies on the vendors. 4.3 Understand the following organizational capabilities that are relevant for realizing cloud benefits. 4.4 Describe multiple approaches for migrating applications. 5.1 Understand the impact and changes cloud computing on IT service management in a typical organization. 5.2 Use a structured approach based on ITIL to explore the potential impact of cloud computing in your organization. 6.1 Explain and identify the issues associated with integrating cloud computing into an organization’s existing compliance risk and regulatory framework. 6.2 Explain the implications for direct cost and cost allocations. 6.3 Understand how to maintain strategic flexibility. Watch this video to learn more about MeasureUP practice tests. We use two excellent third-party resources to allow you to check your earning potential and job prospects before starting this course. The first is IT JobsWatch, which allows you to check what employers are paying people on average with specific certifications, such as the ones contained in this bundle. Click here and enter the name of the certification you would like to see salary information on. Remember to check the earning potential for all the certifications in the bundle, especially the more advanced ones as these will offer the highest salary. The second is Payscale, which also does the above, but allows you to see what types of job titles are paying more based around the certification you enquire about. Click here and enter the name of the certification you would like to see salary and job title information on. Again, remember to check the earning potential for all the certifications in the bundle, especially the more advanced ones as these will provide information on higher level job roles. Although some higher level roles may require experience, the information will give you an idea of future earning potential and career prospects. What career paths are available to me through this course? How do I book my exams? When you’re ready to sit your exams, email [email protected] with your request along with the title of the exam you wish to take. We will then send you an email with instructions on how to complete your exam booking. The exams for this course must be sat at your local test center, which we will locate for you. To be eligible to take your exams, you must have completed all six courses and scored 90% four times consecutively in certification mode on the MeasureUP practice test for all six courses. By accomplishing this, you will not only be ready to take your exams, but have a broad range of IT knowledge and skills you can apply to your career. How does this boot camp course work? This course is made up of three main resources as shown below. Each certification course has as its own set of resources, i.e. 1 x online course, 1 x MeasureUP practice exam (not including CompTIA Cloud Essentials CL0-001), 1 x official exam (only applicable to CompTIA Network+ and CompTIA Cloud Essentials). Each resource is designed to work in conjunction with each other to ensure the successful path to certification. You will complete one course and practice test, then repeat the process for the remaining courses. Once you have passed the exams, you will receive two certifications from CompTIA. Read below to learn more about the resources in this boot camp course. Tutors use diagrams and illustrations to teach the video based classes, as well as giving demonstrations of equipment. Lessons are pre-recorded allowing you to fast-forward, rewind and pause at any time throughout the lessons. Videos can be viewed on different devices including a desktop computer, laptop, tablet, and smart phone. After working your way through each course, you should be ready to start revising for your official exams. To do this, we provide you with MeasureUP practice tests. MeasureUP practice tests are authorised by CompTIA. These are the closest experience to the actual exam you’ll be taking. Having confidently passed the practice tests, you will be ready to sit the official CompTIA exams – which we will book on your behalf. You will do these at your local testing center, which we will locate for you. There are testing centers all over the country. How long will it take me to complete the boot camp course? This course comprises of over 150 hours of video tutorials; and 100+ hours of practice test material. How soon you can complete the course is dependent on several factors such as the amount of time you can dedicate to the course each week, and how quickly you absorb information. Revision for each exam will take a minimum of 2 weeks. We recommend you spend at least 10 hours on each course per week to be able to finish it within the six month time allowance. You will have full access to the course material and resources for 6 months and must take your exams within this period. As there are six courses in total, you should aim to finish one course per month or less. The CompTIA IT Fundamentals course can be completed within 10 days or less. Don’t forget this is an intensive boot camp course. You’ll need to put in the hours to finish it in time. Your course can be done from any where in the world. If you decide to move to a different city or even country, you can continue with the course from wherever you are. All you need is either a desktop computer, laptop, tablet, smart phone, and an internet connection. Learn more about the CompTIA Network+ certification as part of this course. We only use the industry’s finest instructors in the IT industry. They have a minimum of 15 years real-world experience and are subject matter experts in their fields. Unlike a live class, you can fast-forward, repeat or rewind all your lectures. This creates a personal learning experience and gives you all the benefit of hands-on training with the flexibility of doing it around your schedule 24/7. Our courseware includes instructor-led demonstrations and visual presentations that allow students to develop their skills based on real world scenarios explained by the instructor. We always focus on real world scenarios and skill-set development. This will allow you to gauge your effectiveness before moving to the next module in your course. Hudson courses also include practice exams designed to replicate and mirror the environment in the testing center. These exams are on average 100 questions to ensure you are 100% prepared before taking your certification exam. 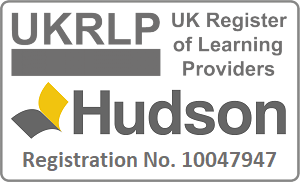 Hudson has designed a world class Learning Management System (LMS) This system allows you to interact and collaborate with other students and staff, form study groups, engage in discussions in our [email protected] Forums, rate and “like” different courses and stay up to date with all the latest industry knowledge through our forums, student contributions and announcement features. This LMS is unmatched in the industry and makes learning fun and enjoyable. Hudson knows that education is not a one size fits all approach. Students learn in different ways through different tools. That is why we provide Flash Cards and Education Games throughout our courses. This will allow you to train in ways that keep you engaged and focused. Each course will have dozens of Flash Cards so you can sharpen your skill-sets throughout your training as well as educational games designed to make sure your retention level of the materials is extremely high. Hudson’s self-paced training programs are designed in a modular fashion to allow you the flexibility to work with expert level instruction anytime 24/7. All courses are arranged in defined sections with navigation controls allowing you to control the pace of your training. This allows students to learn at their own pace around their schedule. Please note that this course is not covered by our standard 7 day guarantee/cancellation/refund policy.